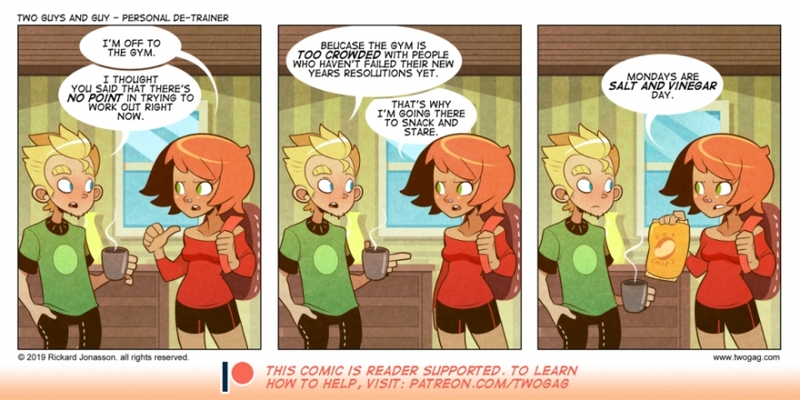 I'm the best at new years resolutions, I fail fast. Very efficient. My Patreons is what keeps Twogag updating, visit the patreon page to learn how you can support the comic!